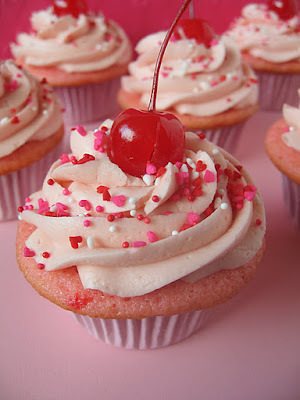 Check out The Nonpareil Baker for the recipe and more photos of these cherry chip cupcakes with cherry vanilla buttercream! So cute! Definitely would love to check out more!